2018 marks the 30th anniversary of Snellville Heating, Air and Plumbing. How is it that a company can succeed for that long in this day and age, with all of the competition in the industry-not to mention having made it through one of the country’s greatest economic recessions in history? Well, there are a lot of factors at play. While our exceptional service professionals and comfort advisors obviously play a key role in our (continued) success, the core values that our company is built upon also help to guide us on every job, every day. These include a focus on integrity, teamwork, accountability, and exceeding expectations, among others. We’re the plumbing and HVAC contractor in Buford, GA to trust. It does not matter how "minor" a plumbing service you may require. If it is anything beyond plunging your toilet or drain a few times, then professional plumbers in Buford, GA should be brought in. Your system may not be in immediate danger, but it will be eventually, and trying to fix things yourself could make matters worse. From kitchen plumbing installations to slab leak detection and repair, our service professionals have the tools and training to do the job right. Keeping your cool can be tough here in Georgia. We face pretty intense summer temperatures and the humidity-don’t even get us started! The good news is that our service professionals excel in the installation, repair, and maintenance of top-quality AC systems. Our technicians hold NATE certifications, and are certified on all major brands. We are also a Certified Rheem Pro Partner. When you need a thorough AC tune-up or an air conditioning installation from scratch, give us a call. Your air conditioner is going to be working really hard for a really substantial chunk of the year in our area. Eventually, that wear and tear will take its toll. Routine AC maintenance will help to keep AC repair needs at bay. Eventually, though, your system will exhibit the warning signs that the time has come for professional air conditioning repair services. Air conditioning systems around here see more action than heaters. It’s just a fact of living in this geographic region. That obviously does not mean that your heater is any less important than your air conditioner is, though. If that’s what you believe, then you are going to have a chilly and uncomfortable winter ahead of you. Be sure to leave your heating services in Buford, GA, including any necessary heating repairs, to our team of qualified professionals. There are many different heating systems that homeowners today may choose to use in their homes. For many, however, the furnace really does reign supreme. Why is this? Well, the furnace, when properly installed and routine maintained, is effective, reliable, and efficient. How do you make certain that your furnace installation, repairs, and maintenance are done the right way, the first time? By scheduling service with us. Remember, any heating system can result in dangerous working conditions if not properly serviced. What does keeping your home comfortable throughout the year mean to you? Heating it effectively in the winter and keeping it cool in the summer season? These are obviously very important priorities to have. It’s not exactly the whole picture, though. You also need to maintain great indoor air quality in Buford, GA. We clean air ducts and seal them using the Aeroseal process and products. We install and service air cleaners, air purifiers, and energy/heat recovery ventilators. Ask us about your IAQ options today! Very impressed with Dylan's knowledge and expertise. He was very thorough with his explanation of the service performed . Dylan was very professional and courteous which is greatly appreciated by one who believes that service to the customer is primary. 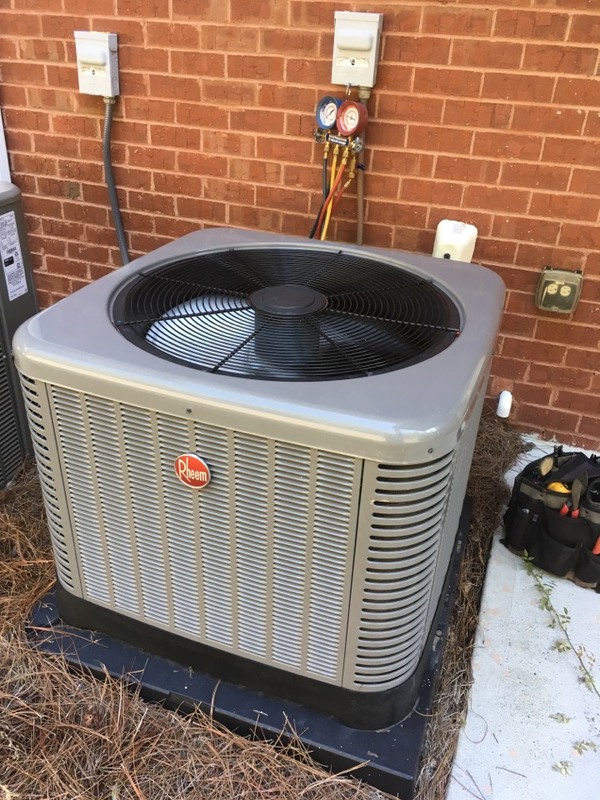 The plumbing side of Snellville Heating and Air is as dependable and trustworthy as the HVAC side. I am so pleased with the results! I have been a customer for over 10 years. Snellville Heat/Air/Plumbing is Trustworthy and Dependable.